This wonderful set of books introduces us to a world that is filled with shells that we never can otherwise see. It is a world where an 11 millimeter shell is a giant among these shells and sizes range downward from there to shells that are slightly more than ½ a millimeter in size. These shells are referred to as the scissurellids, and when commonly referred to are called the "little slit shells" There are 6 families of these shells and the first volume of this set is devoted to coverage of the Sciccurellidae and the second volume covers the remaining five families. These are a very early form of mollusk and fall into a class called the Vetigastropoda. This set is the result of 12 years of research on these shells on a worldwide basis. 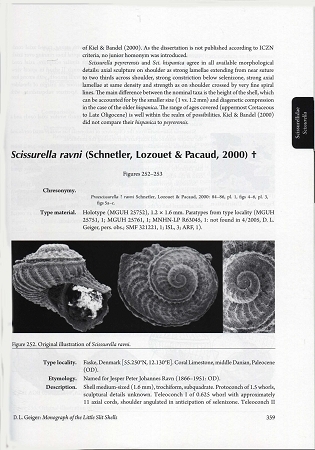 The study consisted of 9800 lots and 73000 specimens This book covers all species, recent and fossil that have been describes as sciccurellids. 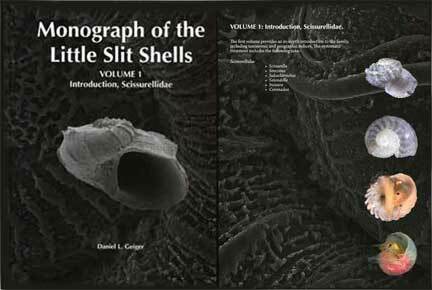 This set of books is the first world-wide monograph on any micro-molluscan group since the invention of the scanning electron microscope. This book will not have a great appeal to casual collectors but to those scientists who work in malacology and to those advanced collectors who want to take a look at the strange and fascinating shapes and forms that can be found among these shells, it is a treasury and a remarkable achievement well worthy of praise. 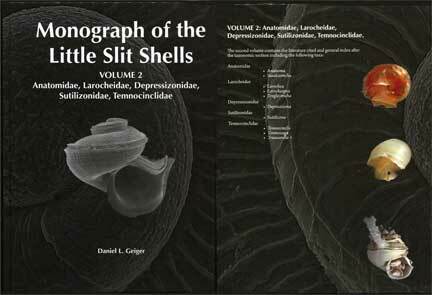 The book will have limited appeal because of the nature of the subject that it covers, but to researchers and those interested in these tiny, beautiful shells it is a fantastic reference source. "I think you are setting a new standard for taxonomic monographs!" Prof. Dr. Carole S. Hickman, University of California, Berkeley. "... I am already very impressed! ... I must say that the amount of information that you have managed to include is simply astonishing ... The MS is incredibly impressive ..." Prof. Dr. Emilio Garcia, University of Louisiana, Lafayette. "I've only had a brief look, but your monograph is a tremendous accomplishment, and beautifully presented." Colin Redfern, author Bahamian Seashells. 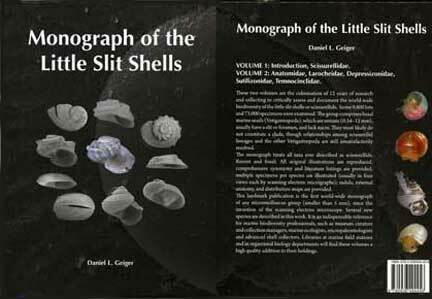 "The very weighty box containing your wonderful monograph of the little slit shells has arrived. First of all, congratulations on a monumental monographic work! ... I especially appreciate the combination of rigorous scholarship and aesthetics. As always, the tangible pleasure of holding a book and turning real pages is intimately connected in the wiring of my brain with seeing, thinking, and learning. Of course I "knew" already from my computer screen how it was going to look, but now it has come to real life!" Prof. Dr. Carole S. Hickman, University of California, Berkeley. "It is indeed a monumental work that will probably never need to be rewritten … updated perhaps periodically but never redone." Lindesy Groves, Collections manager malacology, Los Angeles County Museum of Natural History. What a monumental and beautifully done publication! It would have taken someone else several lifetimes of hard work to execute such a magnificent job." Prof. Dr. Emilio Garcia, University of Louisiana, Lafayette. 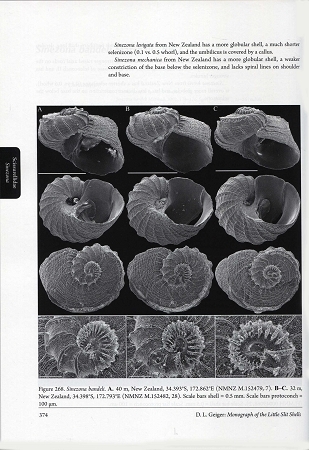 A review and revision of the marine gastropods in the Family Cassidae worldwide.